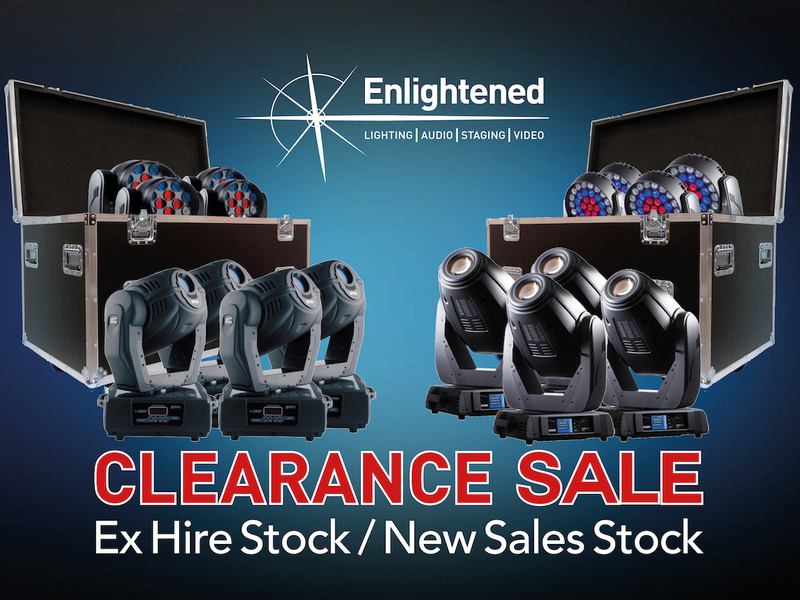 We are making way for a range of new products to our hire stock and are therefore offering for sale many well-cared-for items from our current inventory of industry-leading brands across Lighting, Audio, Video and Staging as well as many New and unused products from our Sales Inventory. The perfect opportunity to acquire some fantastic kit at great prices. New = Brand New (unless stated). Manufacturers warranty has expired. Some packaging may be opened / damaged. Ex Hire = Working and in Fair Condition - as would be expected for the item. Spares units are sold as value of parts only. Full payment required with order (by bank transfer) to secure items.